How To Get Rid Of Malware On PC? In today's threat landscape, there are millions of malware variants lurking on the Internet waiting to infect computer systems of unwary users. Hackers use social engineering methods to attack and take over someone's computer and then place a code that loads a virus, malware, spyware or some Trojan on their computer. Most security software prevents this but not all. Once your computer gets infected with malware, it can do a lot of damage. From logging key-strokes and gaining access to your passwords to slowing down your computer, malware can cause severe damage to your computer and your data stored in it. If you discover your computer is infected with malware, here are a couple of options to remove malware from your computer. If malware has already compromised your computer, it could get on your network. Hackers can place a remote access Trojan on a system that can lay dormant until a right time comes. 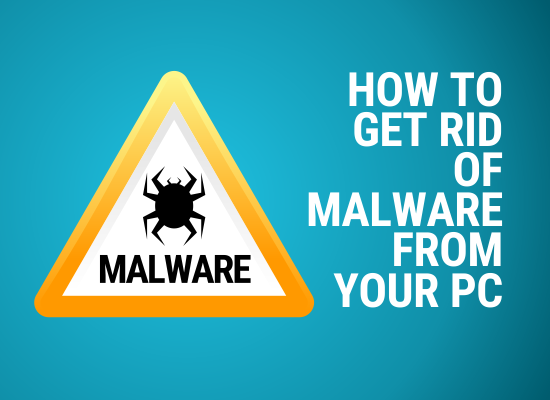 If you suspect a malware infection on your system, here are the steps to take, immediately. If you've got malware on your system, you can try System Restore options set in Windows OS. You can use it to reset the system to the old condition (without malware). System Restore is a great option that can roll back program files, and system files to a previously safe state. If your system files have been corrupted or damaged by malware or any other means, you can use this option to fix your computer. For corporates, finding and removing malware is not easy. There may be multiple legacy endpoints/devices deployed at different locations. Due to that, conventional antivirus products are not a viable option.